For home owners in southeastern Michigan getting a roof inspection can help save loads of problems with their roofs. Getting a roof inspection on your home can help to identify potential problems that may cause all sorts of leaks and problems later. That’s why getting a roof contractor to help with your roof is so important to get the problems sorted before they start leaking and damaging your home. Take a look at this article to learn more about annual roof inspections in Michigan and why they are so important. If you’re a regular reader of Home Pros Michigan then you probably already know we look at things that can stop problems from occurring in your home. We try to give our readers the needed information they can use to make better home improvement decisions. Many times, the advice and tips we offer can help to stop problems from occurring and protect your home from things that may not yet have happened. We’re not fortune tellers by any means but, when it comes to your home’s roof there are always some tell tale signs that problems will soon occur. 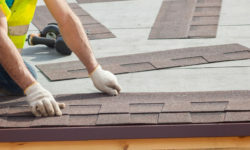 In the following article we’ll look at some of the things that can be stopped by getting an annual roof inspection done on your Michigan home’s roof. One of the biggest advantages of getting a roof inspection is that problems with the roofing materials themselves can be found. If signs show that the roofing materials are failing then replacement may be needed even if you don’t have any roof leaks. If you have trees that are close to your home’s roof or if they overhang the roof it’s likely that leaves from those trees will fall onto the roof and accumulate. A small amount of leaves that blow away usually doesn’t negate repair but when piles of leaves start to stay on your home’s roof for extended time then it may be a problem. The debris like this can hold moisture against the roof for long periods of time. Add in the effect of snow covering those leaves and you may even have discolored shingles once it is cleared away. During an annual roofing inspection by most roofing contractors the debris from your home’s roof is cleared away. The debris from the gutters are likely also cleared to give better flow when it rains. One of the biggest advantages of getting a roof inspection is that problems with the roofing materials themselves can be found. If signs show that the roofing materials are failing then replacement may be needed even if you don’t have any roof leaks. Finding potential problems with the roofing surface may also be covered on your roof’s warranty if available. If the materials themselves are failing and still under warranty you can be covered by some manufacturer’s warranties. Be sure to check any paperwork you may have with your roof to be sure. Many times the problems that occur on the roof aren’t just the roofing surface that goes bad but other components on the roof. Items like skylights and chimneys are some of the areas where an annual roofing inspection will inspect to determine if the seals around these items are still intact and functioning properly. Ventilation pipes that exit the roofing surface are usually a culprit for roof leaks over time. Whenever a roof inspector goes onto the roof they will always inspect any items that penetrate the roofing surface. From ventilation pipes to chimneys these areas are carefully inspected and if there is a crack or leak it’s resealed or the roofing boot is replaced to make sure it will not leak. 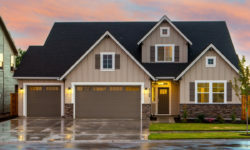 By getting an annual roof inspection you ensure these types of problems are located and fixed before they start leaking and causing damage to your home.